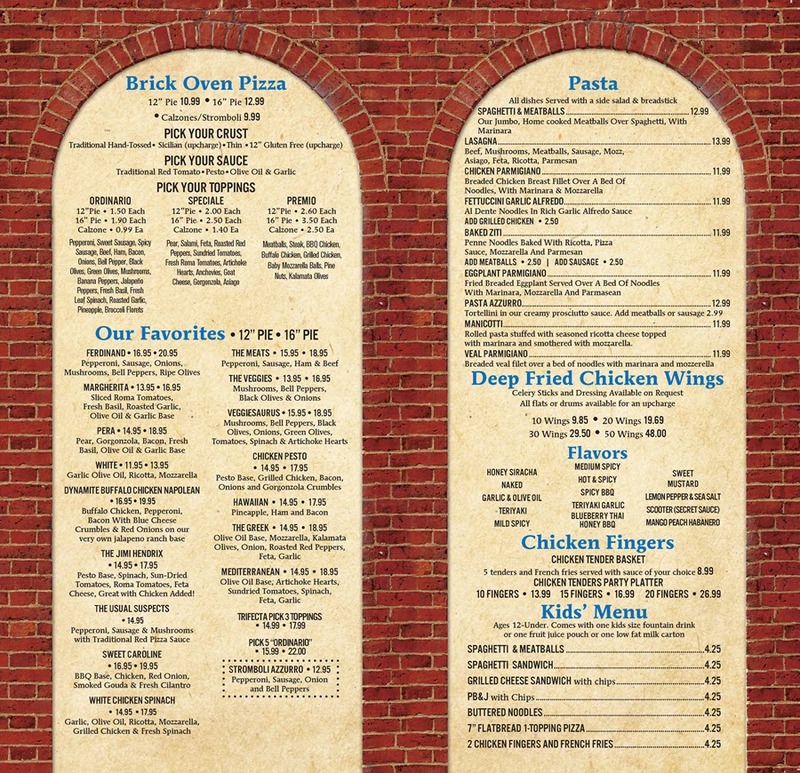 We take tremendous pride in offering the very best hand-tossed, brick oven pizza and calzones, as well as the most delicious deep-fried wings, fresh salads, hot sandwiches and tasty pasta dishes. 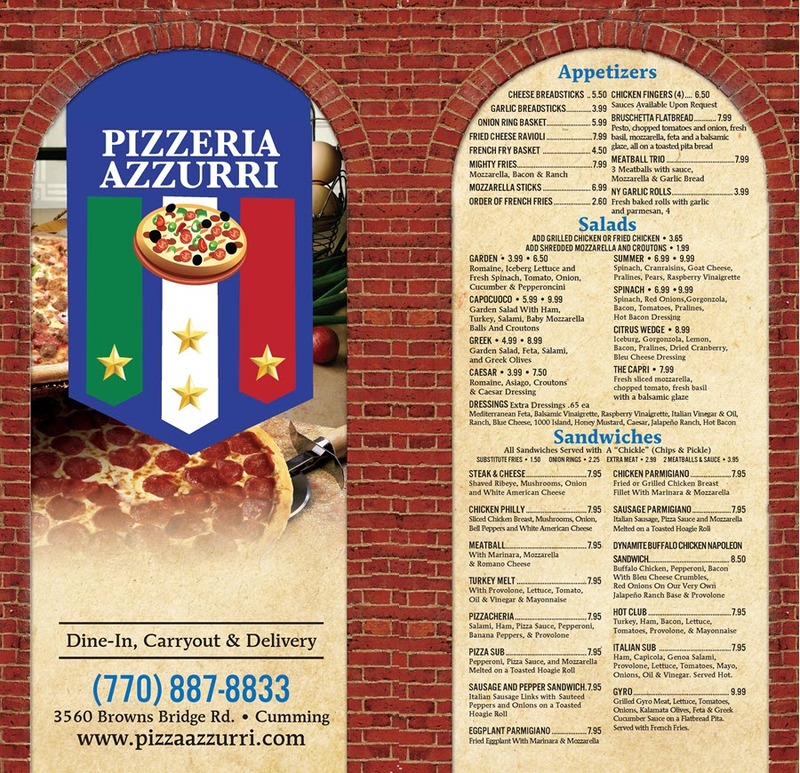 Pizzeria Azzurri also has a great beer selection, and the most refreshing and delectable homemade sangria. Though portions are hearty, be sure to save a little room when you come, because our fresh, homemade desserts are to die for! Azzurri is a fun, casual place, great for singles, couples and families, where everyone gets prompt, friendly service. In fact, it is our mission to make sure every single customer is completely satisfied, both with their meal and their experience. 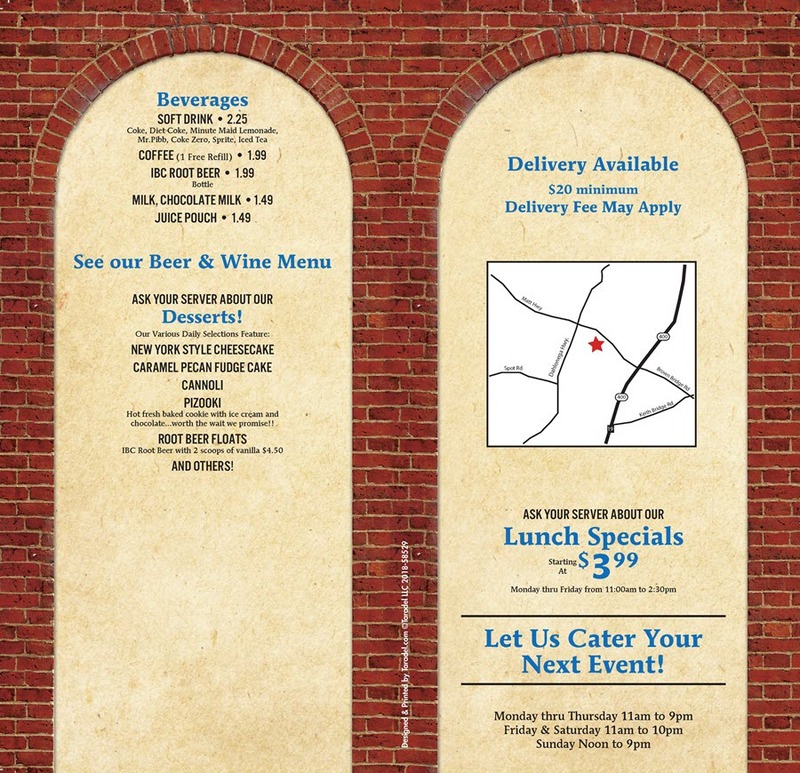 And you don’t have to dine in to have great food and great service; Pizzeria Azzurri offers carry-out and delivery. We open at 11am for lunch Monday through Saturday and close at 9pm weeknights. Friday and Saturday night we close at 10pm. Our Sunday hours are 12pm -9pm. Lunches are an incredible value with lots of great specials to choose from.